These are words we live by when traveling in areas where we encounter children begging in the streets. These are words we ask our tour participants to live by when traveling with us. Slow down – you’re on vacation after all – and engage. Smile. Share a joke. Share a riddle. A magic trick can hurdle any language barrier. Ask their name. Their age. What they think about this. What they think about that. Children are children the whole world ’round. Ask a child for his/her opinion and you may as well have asked them to star on Broadway. There’s probably no way to quantify just how meaningful or significant this approach may be, but ask yourself this, how does it make you feel when someone wants to know what YOU think? Now, if you simply cannot resist the urge to give stuff, give it to a local, recognized organization working to protect, educate, and empower the children in their own country. On Sunday morning, the week before Easter, people make their way to the Santa María Magdalena church in the Monimbó neighborhood of Masaya to present their sick children or animals to Saint Lazarus and ask for healing during an annual mass in his honor. 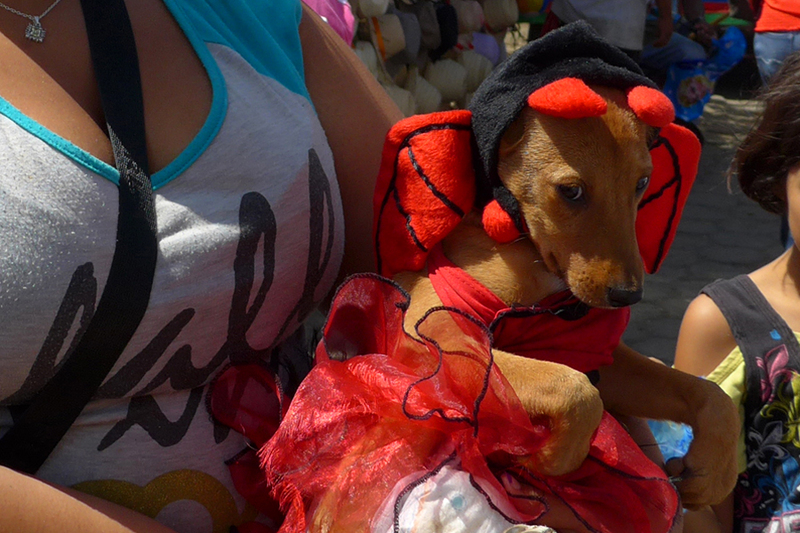 Dogs of all breeds, sizes and colors are carried/paraded down the streets leading to the church. Inside, benches are removed, the floor is covered in sawdust, and people push their way to the alter for a blessing. Outside there is a constant stream of pet owners – and onlookers toting cameras – flowing up and down the steps to the entrance. It's a riot of color, costume and ﻿paparazzi. 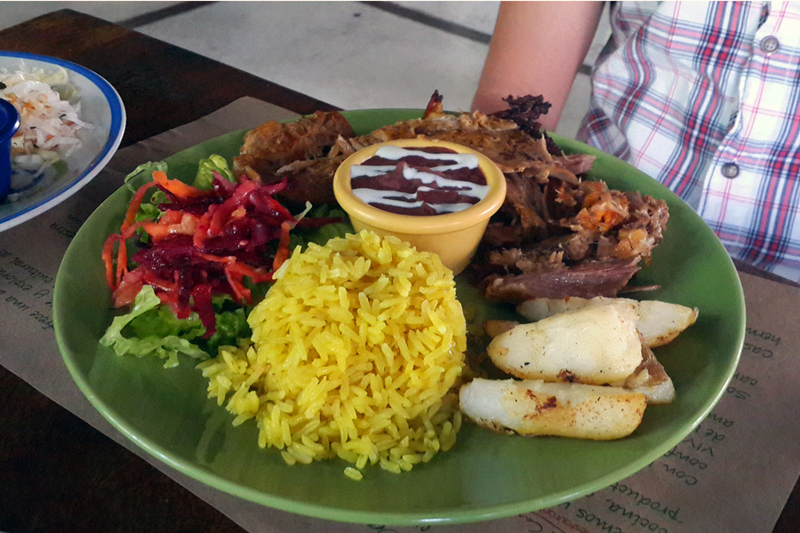 Nicaragua may be an economically poor country but it is rich in culture, tradition... and food. Central America is not really known for its cuisine but that will never be Nicaragua's fault. But then again, Nicaragua, like in so many other ways, is different than the rest. Food is also a source of regional pride (and a topic of endless debate). Güirilas (soft, sweet corn tortillas smothered with ricotta-like cheese and tangy cream) must be savored in the North. Queso Ahumado (smoked cheese) is from Chontales and is simply served with warm tortilla or as a side dish. 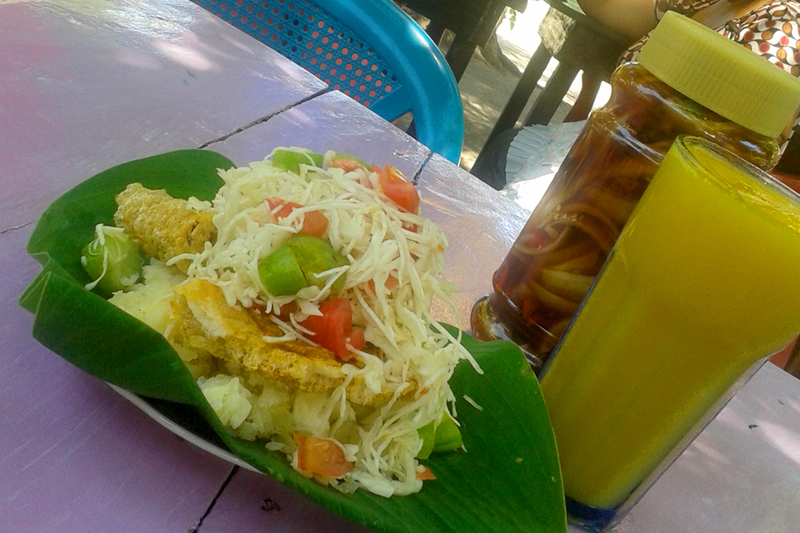 The best Vigorón (boiled yuca and crispy pork rinds with spicy coleslaw) is found in Granada. Pescado a la Tipitapa (deep fried, crackling Guapote), is crispy on the outside, sweet and meaty on the inside, and blanketed with a fresh, tomato-based sauce bursting with spices. On our well-crafted food tours of Nicaragua, your palate will explore the distinctive flavors of recipes that are infused with history and tradition, and all that comes from the fertile volcanic soil. 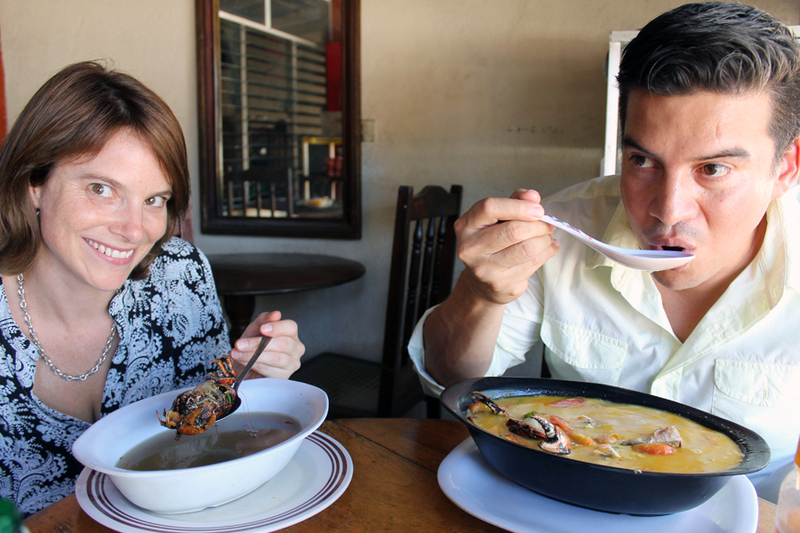 Nicaragua is bountiful when it comes to food and good times. Let's dig in and savor. 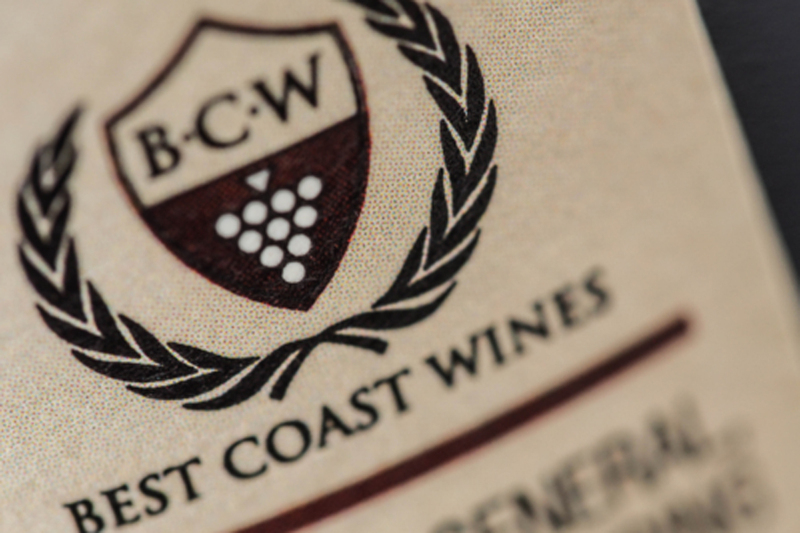 Drink a toast to Nick, a Kellogg School of Management graduate and Certified Sommelier, who found a way to combine his professional expertise with his love for wine. 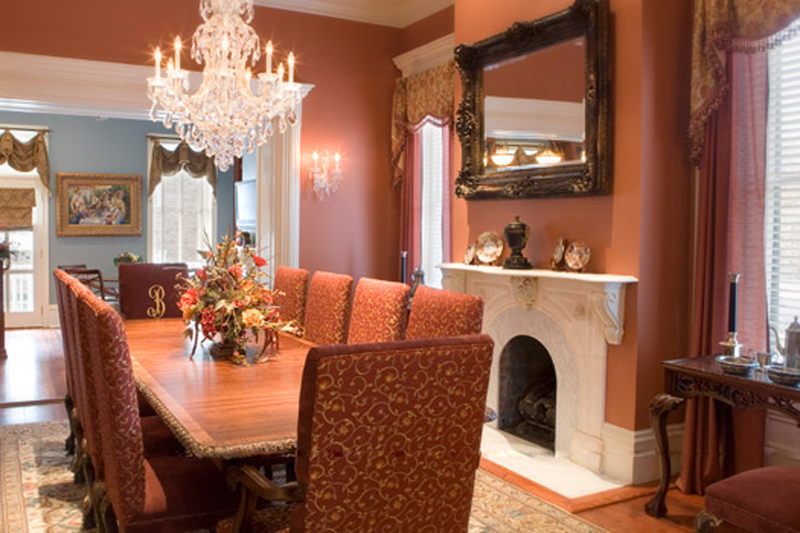 Robbie and Allen offer southern hospitality and elegant accommodation in the Landmark Historic District of Savannah, Georgia, which is on my personal travel list for 2015. For the foodies, Todd and his family spend weekends producing handmade conserves. 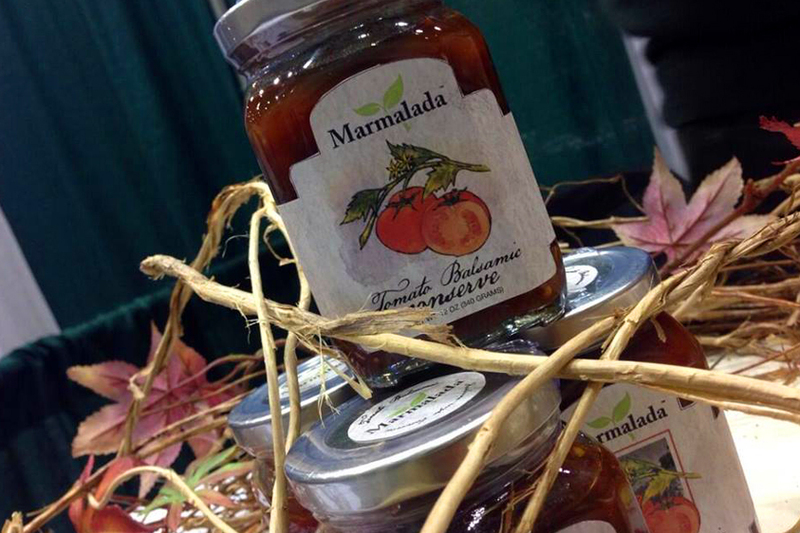 Marmalada is the delicious result of this family affair. Ian, from across the pond, is creating stunning images of the far-out places he travels to for his "real" job. Both his camera and his GPS get a workout. 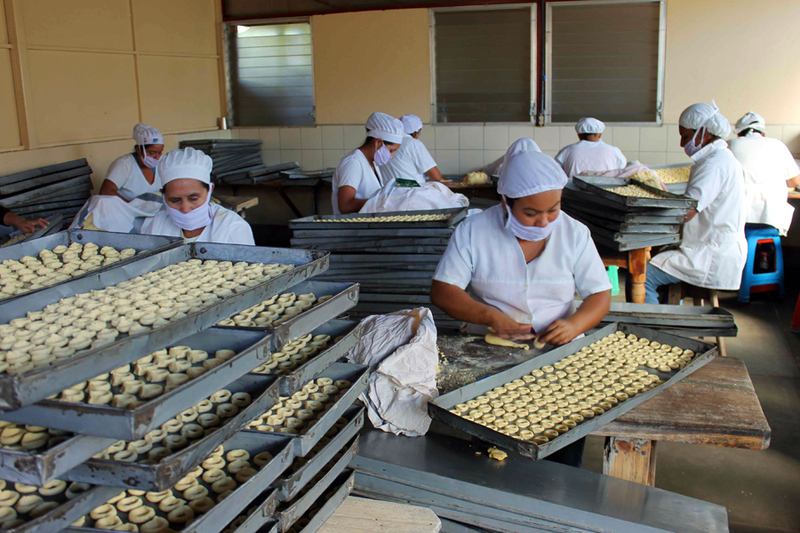 Rosquillas are a corn-based, oven-baked delight, and if you want the best of the best you head to Somoto, Nicaragua. This small, northern town is nationally renowned for their artisan production of this delicacy. 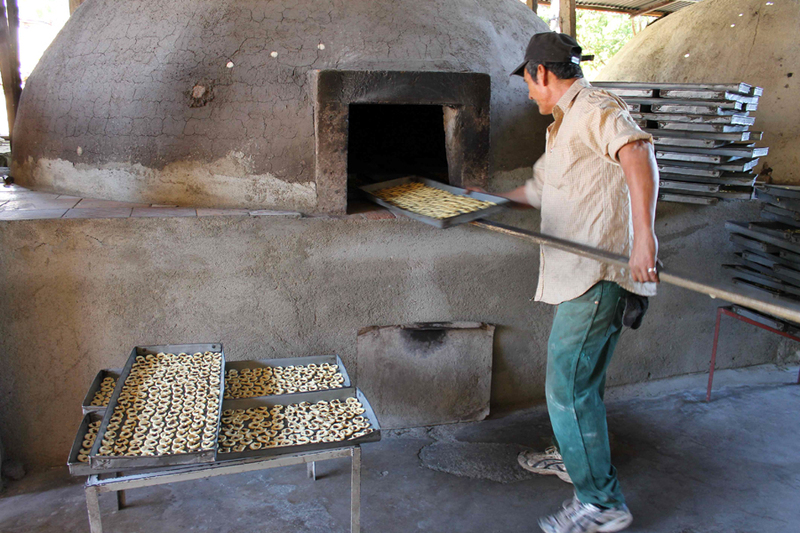 Here, not only can you stop into one of the local bakeries to watch first-hand how the rosquillas are made, you can taste them hot out of the clay brick oven! Get there early and don't forget the coffee. And right now, Nicaragua is bursting with it. The coffee harvest is in full swing from Mombacho to Mozonte. 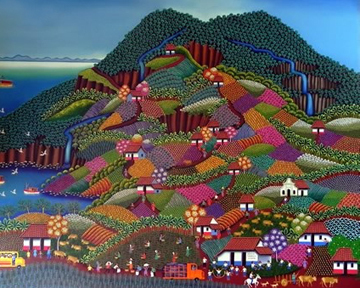 Some of Nicaragua's first arabica coffee beans were planted by German immigrants in the mid 1800s in the mountainous region of Matagalpa. Today, the country's fertile soil continues to nurture both the plant and the people who rely on it to make a living. 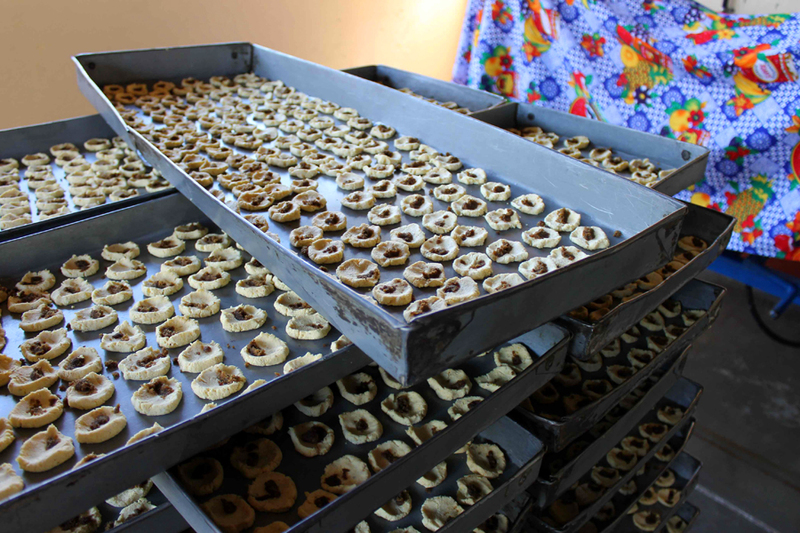 Beans are typically wet-processed, sun-dried, and sorted by skillful hands. The coffee harvest is tedious labor that produces a valuable product, which generates much needed income for many Nicaraguans. Coffee is at the top of Nicaragua's export list, and these days, many farmers are participating in Fair Trade production practices and consumers around the world can support these farming families and their rural communities by buying Fair Trade products. Now, you know what goes great with coffee? Why, on earth, would anyone want to go to Nicaragua?! 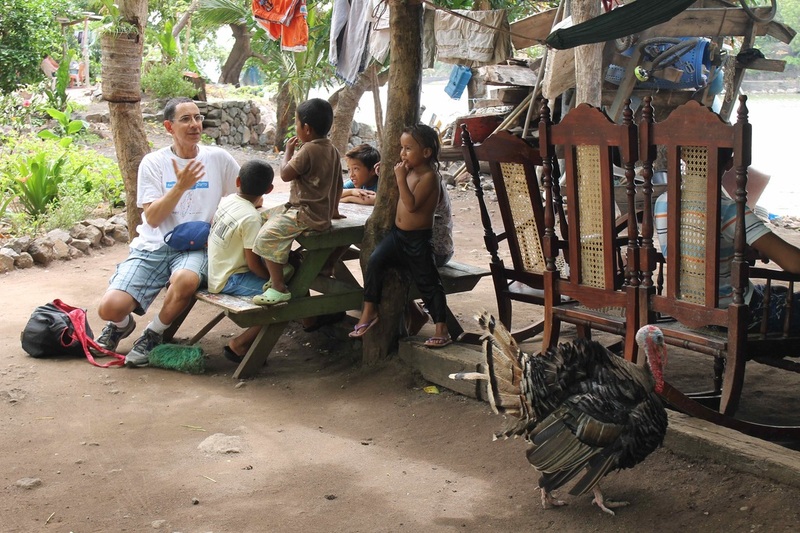 Because in Nicaragua, you will meet someone who will change your perspective on any number of things. Because in Nicaragua, you will be moved by something words cannot describe. You will experience a moment in which your ability to adapt will be tested, and you will pass. You will find yourself both crushed and inspired at the same time. You will take a deep breath and laugh heartily from your gut. Because in Nicaragua, you will sit on top of the world and the view will make you smile. On Sundays, in October and November, in celebration of Masaya's patron saint, San Jerónimo, dancers take to the streets and to the homes of friends and relatives to perform El Baile de Negras. It's not known for sure just when and from where this dance originated but it's certain that the culture that surrounds today's Baile is vibrant, engaging and a source of Nicaraguan pride. Most notably, all the performers are men. 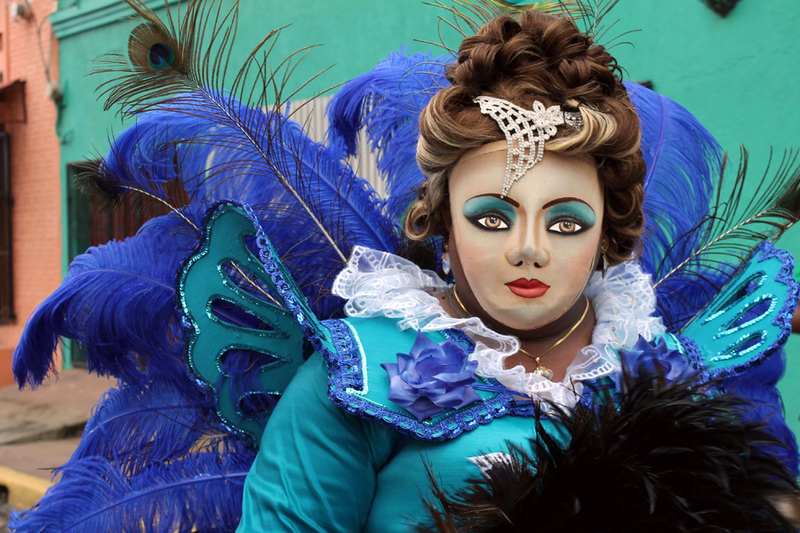 They show off in elegant costumes and bedazzled footwear representative of countries around the world, and use delicate, hand-painted mesh masks that obscure their own features. Although communication between dance partners is limited due to hidden facial cues, the skillful choreography, and excellent coordination of costumes and accoutrements results in an impeccable presentation. A small ensemble of musicians accompanies the entertainers, showcasing traditional marimba music. Every year, an animated crowd of locals and visitors alike comes out to follow en mass, rain or shine. The admiration is palpable and the camera phones get a work out. The Solentiname archipelago was largely unknown before the mid-1960s, when Father Cardenal, a native of Granada, Nicaragua, arrived on the islands to establish a parish church. He ended up nurturing not just a political consciousness but also a community of artists that is still thriving decades later. 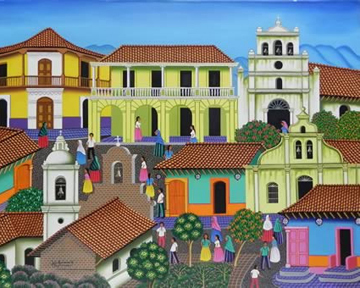 The naïve paintings of Solentiname, and their influence, can be found all throughout Nicaragua, as well as galleries around the world. 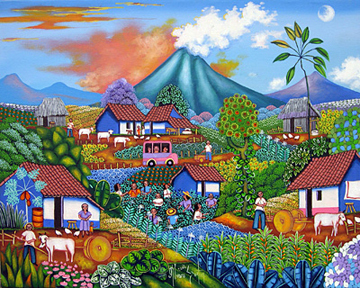 At Primitivista.com you can purchase custom paintings in the naïve style from various Nicaraguan artists. 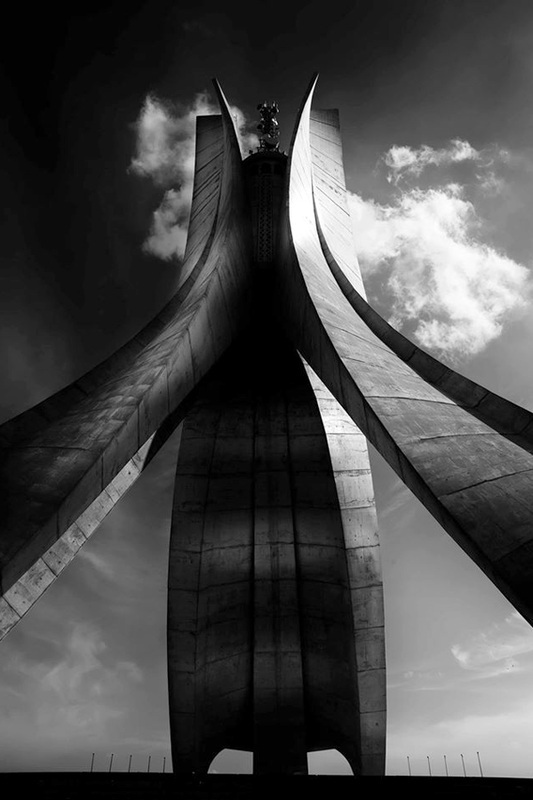 Their individual creativity showcases a vibrant, living and breathing homeland. I'm a big fan. The clip-clop of horse hooves and four well-worn wooden wheels hitting the cracked pavement. The shrill, metallic whistle of the night guard announcing his departure. The coos of the resident doves. A car clunkity-clunks by, both it and the road sound as though in rough shape. The fruit lady is in full swing, shouting out her list of goods as if it would be the first time my neighbors and I were made aware of her existence. Not far behind, a hushed conversation ambles by. Barely audible it could be in Spanish, English, Egyptian. A rooster. Need I say more? Various other birds, with functioning wings, join the dialog, gossiping from one side of the street to the other. It’s dawn. I’m not quite ready to participate. So I roll away from the early morning sun ray that has landed quietly, almost apologetically, on my bed and drift back to sleep. Jessica Schugel is Owner and Tour Director at Buen Viaje Tours.